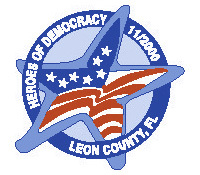 Our community has always supported a political culture that fosters a sense of civic duty, takes pride in our constitutional rights and freedoms, and provides support for those rights.­ Kids Voting Leon County helps to ensure that this local tradition is strengthened and remains strong by educating our youth. On Election Day, local Kids Voting Leon County volunteers staff the polling precincts of Leon County and the youth in our county come out to vote with their parents.­ Kid's Voting Leon County currently has approximately 40,000 students eligible to vote in over 100 precincts.­ The students are able to cast their official Kids Voting ballots at a separate Kids Voting precincts located within their parents' voting precinct.­ Their votes are tallied, and the results are provided to the entire community just like the adult election results. ­Discuss current election issues and candidates with your children and talk to them about the importance of voting. Take your children to vote with you on Election Day at your precinct. Show your enthusiasm for casting your own vote. Consider making a monetary donation to Kids Voting Leon County. 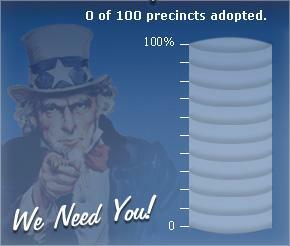 Volunteer with your business, organization, or family to adopt a precinct on Election Day. If you have any questions about Kids Voting Leon County that have not been answered by this web site, please do not hesitate to contact me by e-mailing me at kidsvoting@gmail.com.­ Thank you for your interest, and we look forward to again making Election Day a special day for all of us!